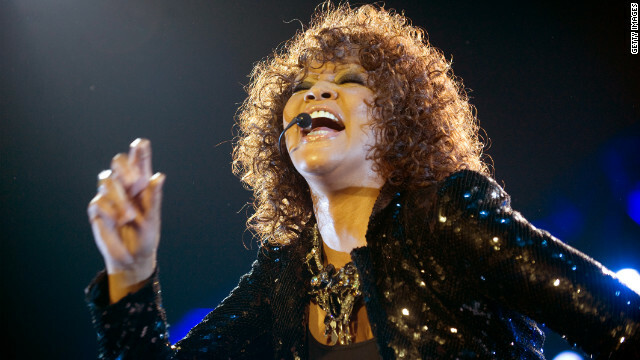 Whitney Houston performs at the O2 Arena on April 25, 2010, in London. Whitney Houston died from an accidental drowning in a hotel bathtub, but the "effects of atherosclerotic heart disease and cocaine use" were contributing factors in her death, the Los Angeles County Coroner said in an autopsy report released Thursday. Houston, 48, was "found submerged in bathtub filled with water" and "no trauma or foul play is suspected," the coroner said. The toxicology tests found other drugs in her body, including marijuana, the anti-anxiety drug Xanax, the muscle relaxant Flexeril and the allergy medicine Benadryl, the report said. But these drugs "did not contribute to the death," it said. The final coroner report is expected to be made public within two weeks, the coroner said. Houston died February 11 in her room at the Beverly Hilton Hotel in Beverly Hills, California, the day before the music industry gathered for the annual Grammy Awards in Los Angeles.